I’ve been thinking about this topic since I started flight training. I wasn’t sure I had enough experience or insight into it yet to write about it. I figured to tackle it anyway though. 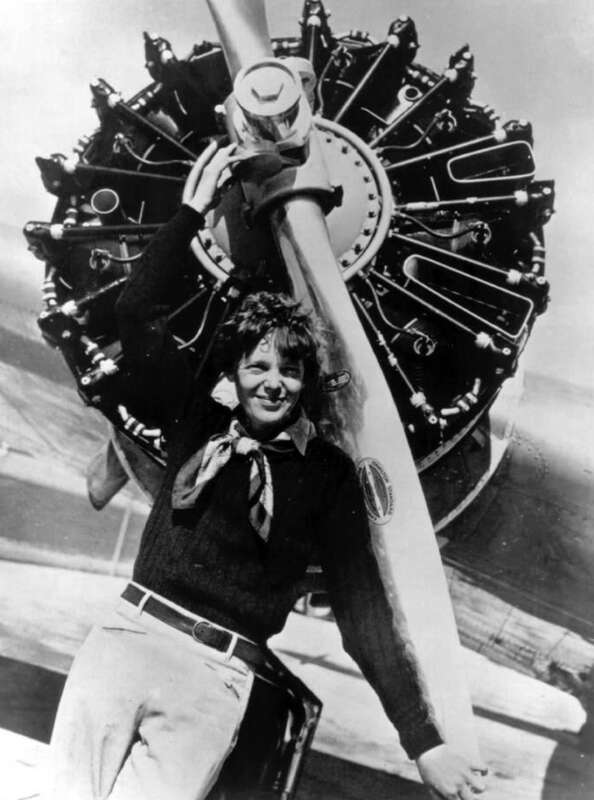 Women in aviation. From statistics, they make up 17% of students nowadays, 7% of private pilots, and 6.5% of flight instructors. Not a lot, but I’ve been lucky. I’ve had two female instructors. I changed only because my first one wasn’t checked out in the airplane I wanted to train. Looking back though, I’m glad I did because my current CFI is more experienced in teaching, doesn’t have a corporate job to distract her, and I just feel like she’s more prepared. It doesn’t make me respect my other less, flying badass corporate jets. I believe my flight school purposely always tried to match me with female instructors though, their only two. I wasn’t expecting that going into training. I was prepared for male instructors. In the end, I do like being paired with a female CFI. We can relate better to one another and bond. Of course, I could have that with a male instructor, if we have things in common; but there is a difference. This article talks about her hypothesis that females are more likely to finish their training when paired with female instructors, but her surveys weren’t able to come to that conclusion. From that article, I read this one. Reading that article made me realize how much my instructor asks if I have any questions and I feel comfortable asking anything to her. I thought that was just a given in all flight training. Having two female flight instructors and always talking to at least one female controller a lesson, I didn’t really notice that there is a lack of women in aviation, or at least in my aviation world. 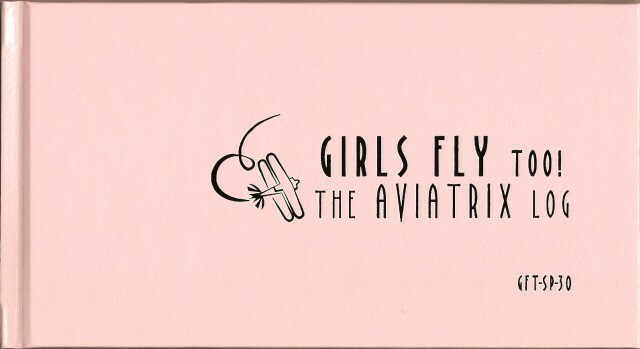 I also have found great blogs by other female student pilots, so I just forgot about the lack of females. Then I thought about it. I have never seen another female student at my school. I know my instructor had one other who is now moving away. I want to ask next time I’m there how many female students there are at the school. I’m beginning to suspect I’m the only one. Then I was surprised when thinking about friends who have done discovery flights. Not many. One guy. One woman I know bought it for her husband and went along in the back. And then just one woman I work with asked me about it to buy for her boyfriend. All men who did/would do the flying. The woman who bought it for her husband made a post on Facebook about how maybe she would take it up because there needs to be more female pilots. Never heard anything about it after that. I was shocked by the woman who wanted to buy it for her boyfriend not wanting to do it herself because she’s very much a feminist. Why weren’t they attracted to the idea of flying themselves? I knew going into this there wouldn’t really be any females and it doesn’t affect me too much. It makes me want to try all the harder to make sure I finish my license so I can be part of changing the norm. I’ve embraced my girliness in this endeavor. I got a pink logbook! Summer is fast approaching and I know I’ll be flying in a skirt. Why try to hide the fact I’m a girl? The two biggest insults to me about my training have come from 1. a doctor I called to get the price of a 3rd class medical 2. a fellow pilot girlfriend. The doctor, oh man, I was pissed after this happened because of what he did and because I wanted to respond in a different way than I did. I was checking for doctors in the NYC area, but most of them cost $250 for a medical that should be closer to $100. This specific doctor got on the phone and said he charged $450, ridiculous. He then proceeded to lecture me about how aviation is expensive and said I should take up knitting instead. Really, knitting? Would he have said that to a man who called? Would he have even lectured him? I just wanted to get off the phone, but I wish I said something to him. It was just insulting to me to say I should take up knitting. Plus, I already knit. The second was right after I got up the courage to tell my boyfriend I was going to do flight training. Something I had been working on doing for months. We were on vacation in Colorado with all his pilot buddies from college, but we were alone in the living room so I told him. I got his support, then his friend and his girlfriend entered the room. I don’t like this girlfriend at all. They asked what we were talking about and I was horrified when Embraer Boyfriend told them because to me it was a private thing I shared with him. And you know the response it got from the girlfriend? “Oh, I went through that phase too.” Excuse me? The way she said it was filled with such arrogance and condescension, like I was stupid and would never achieve a license. Here the thing, yes, I woul d have never been interested in aviation without meeting my boyfriend. I acknowledge that. But now, I am interested and want to do it, for myself. Not for him, not to impress him, it’s 100% for me. It was just completely insulting towards me, because I had worked so hard for months researching, budgeting, and building up the courage to talk about it. I was shocked to hear it from another woman, her lack of independence and confidence showed with that comment. Now, it’s just one more motivation to get my license and prove her wrong. Those two things have really only been the discouraging comments I’ve gotten through this whole process. I can’t wait to get my license and afterwards I hope to try to get involved with trying to get more girls involved with aviation. I know there are good organizations out there. I don’t want to get involved yet, because I want to prove I can do it to myself before trying to encourage others to fly. Please know I am quite aware of the hazards. I want to do it because I want to do it. Women must try to do things as men have tried. When they fail their failure must be but a challenge to others. — Amelia Earhart, in her last letter to her husband, 1937. Cool log book. Where did you pick it up from? I actually found it on eBay! 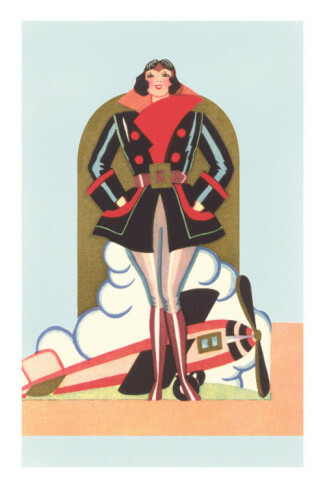 I found one other pink logbook but I really love the word “Aviatrix” so had to pick this one. It makes my instructor smile every time I give it to her to sign. If I had a car I’d definitely get that bumper sticker! I have had similar experiences with you, though the doctor who did my medical wasn’t one of them. That is kind of steep for a class 3 medical though, you’re right. My class 1 cost me $200, and that included an electrocardiogram and everything. I wonder if the doctor you went to was an actual aviation doctor? What I’ve found is the flak I’ve got from various places has been exclusively from *without* the aviation industry. When it come to people within the aviation industry – other pilots, ATC, aviation doctors, instructors, etc, I haven’t had a single one give me anything but a warm and hearty welcome into what I’m realizing more and more is a very tight-knit community. Outside that community though, is where I’ve met with disapproval. My Dad was the worst. At first he was excited and thought it was cool, but then he came back later, having had time to think it over, and said that I should be going around to local airlines and see what my prospects were, to make sure there were places that would hire me even though I was a woman. And why? Because he’s seen movies with pilots in emergency situations and you need upper body strength to fight the control column and women don’t have the upper body strength that men have. I don’t know how many people told me to “make sure you do your research” like they assumed this would be something I’d get over in a little bit once I realized all the reasons I shouldn’t do it. Reasons they don’t know but assume are there, or why else wouldn’t more women do it? The people who said those things were all people who didn’t know what they were talking about. The people who know what they’re talking about, they don’t say those things because they know better. I found him on the FAA website, but who knows how many pilots he sees and how often. But you’re right, the two times I’ve gotten it were people who (probably) weren’t pilots or active in aviation. That girl is a gate agent, but she just basks in the fact she is dating a pilot and “knows” everything. It’s a bit disgusting. I remember reading about your Dad’s response and it’s sad. But a lot about not understanding. My mom doesn’t like to talk about my flight training because she gets too nervous that I’m going to die. I’ve tried to convince her how safe it is but she is set in her views because of what she hears from the media about small plane crashes. That’s great your airport got that award and they have those types of events. I’ve been searching all the different organizations websites to see if there are events in this area I could volunteer for in anyway possible, but have come up short. I’d love if they would have those things at my airport or especially my flight school. I also wonder if living in Canada makes a difference. The ratios of women to men in the commercial industry are the same though – so maybe not. Maybe I’m just lucky to have ended up in a place with a vibrant community of Aviatrixes. My mom says she worries about my safety too when I’m flying, and I have a sneaking suspicion that that worry is the real source of my Dad’s sentiments, and he just won’t admit it to himself. They’re at least willing to talk about it though.